It’s a fact – you spend all this money on some amazing toy and what do your kids play with? The flipping box! 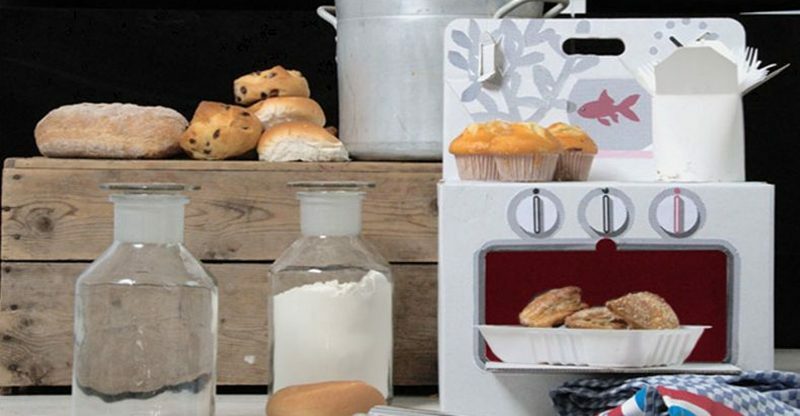 Feed your kid’s strange addiction to cardboard bliss with the Recycled Cocorico Cooker. Created for the always outstanding Kidsonroof by Elisabeth Vidal, this sweet little cooker is made with recycled cardboard. Perfect for box enthusiasts and young chefs alike, this cooker has incredibly fun details, like a cute fishbowl and tiny knobs. Plus this recycled play kitchen set is small and lightweight, so it’s 100% mobile, yet big enough to allow cooking imaginations to soar. Add some fun felt food to this set, and your little one will be ready for hours of pretend kitchen play.